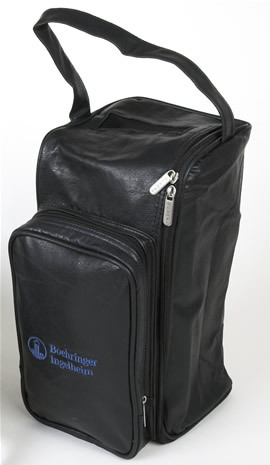 A terrific choice as tournament giveaways or simply to carry your shoes to and from your golf! 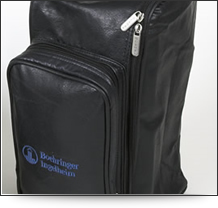 Both styles of golf shoe bag can be embroidered with your company logo for an ideal corporate golf gift. 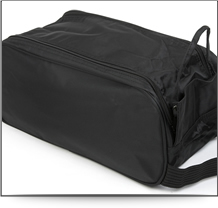 Super strong, lightweight, 420 denier, nylon golf shoe bag with a webbing carry handle. 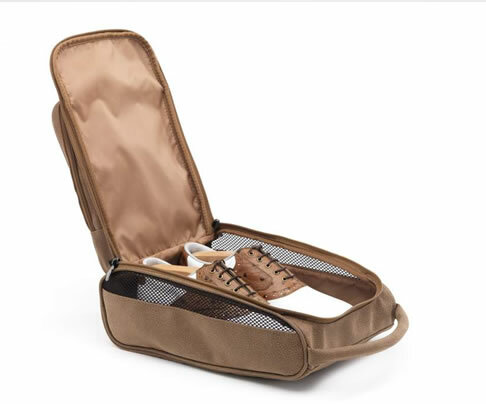 The shoe bag also has a wipe-clean interior, ideal for those nasty wet days! 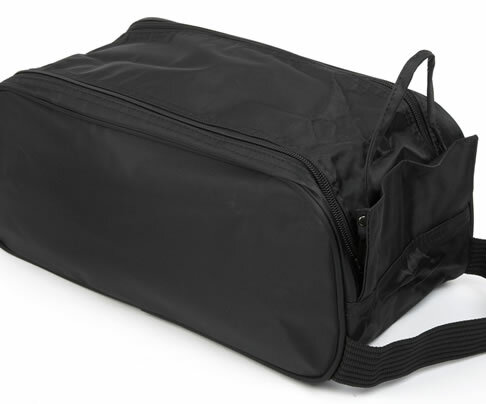 This PVC, felt-backed, simulated leather golf shoe bag has a mesh window for ventilation and a waterproof lining for easy-cleaning. 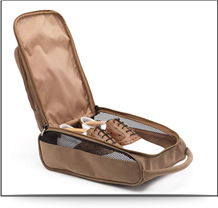 This ICON suede shoe bag has an exterior pocket for additional storage and mesh side vents for breathability.